NEW White Heavy Duty Barrel Bag Cover is twice the thickness of our regular 55 Gallon Barrel Bag Cover and only cost $10.00 more and has free shipping. Protect your Barrel with our new white colored cover that makes your barrel look nice and neat. 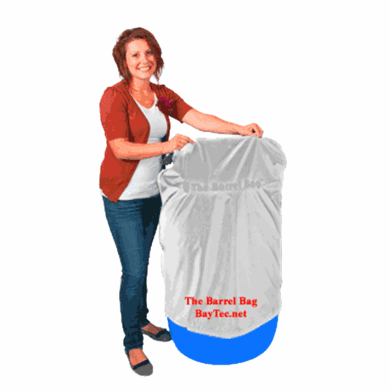 This Heavy Duty Barrel Bag is a perfect way to dress up your Tent Barrel at your next party. Weather resistant with UV inhibitors to help protect your barrel from decomposing. Sale Price with Free Shipping AS LOW AS $29.95! 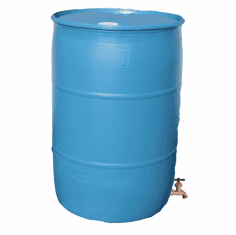 The Heavy Duty Barrel Bag� White cover is designed to specifically cover and protect any standard 55-gallon water Barrel or Drum and works equally well for all 55-gallon rainwater barrels. The Heavy Duty Barrel Bag� White Barrel Cover has many great features, Here are just a few: - Rain Water superior resistant. - UV protection from the damaging Sun rays. - The Heavy Duty Barrel bag cover hides barrels inconspicuously during disasters such as hurricanes and tornados. 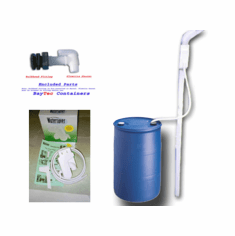 - This White drum cover is made of strong and durable nylon type material. 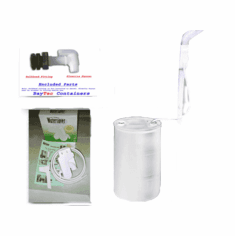 - The Drawstring tie helps to keep the cover secure on your barrel or drum container. 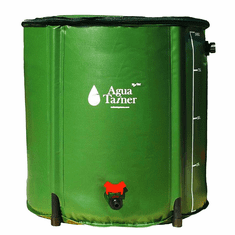 - This is the most inexpensive way to cover your water barrel, rain barrel or other type drum container. All Water barrels and drums stored outside get dirty and weathered. 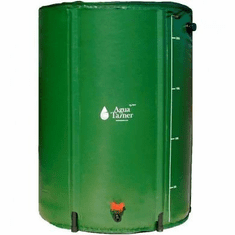 Dirt, mildew, mold, bird excretions and grime collect on the bung caps and barrel tops making a very unhealthy condition for your emergency water storage supply. This is a dangerous condition that can produce extremely bad contaminants when you need to use the water. 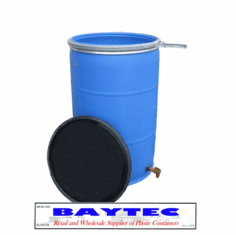 The Heavy Duty Barrel Bag� gives you an extra level of protection for you drum or barrel contents.